(TibetanReview.net, Nov09, 2016) – China says it will complete the building of a second railway line into Tibet Autonomous Region, the Sichuan-Tibet railway, in 2025, five years earlier than planned. The most difficult part of the railway, the Kangding-Nyingchi section, will begin construction in 2018, reported China’s official chinadaily.com.cn Nov 8, citing the National Development and Reform Commission. The report said the whole project will cost about 216 billion yuan and that the trains on this line will travel at 200 km/h. The 1,838-km railway track starts from Sichuan’s capital Chengdu and will pass through the Chinese city of Ya’an, enter traditional Tibet’s border port town of Kangding (Tibetan: Dartsedo) and pass through Nyingchi (Nyingtri) and end at Tibet’s capital Lhasa. The construction of the east and west sections of the railway began in 2014 and 2015 respectively. The railway will travel at elevations of more than 3,000 meters above sea level, with the highest point being above 7,000 metres, and with more than 74 percent of its length running on bridges or in tunnels. It will cross the Minjiang, Jinshajiang and Yarlung Tsangpo rivers. 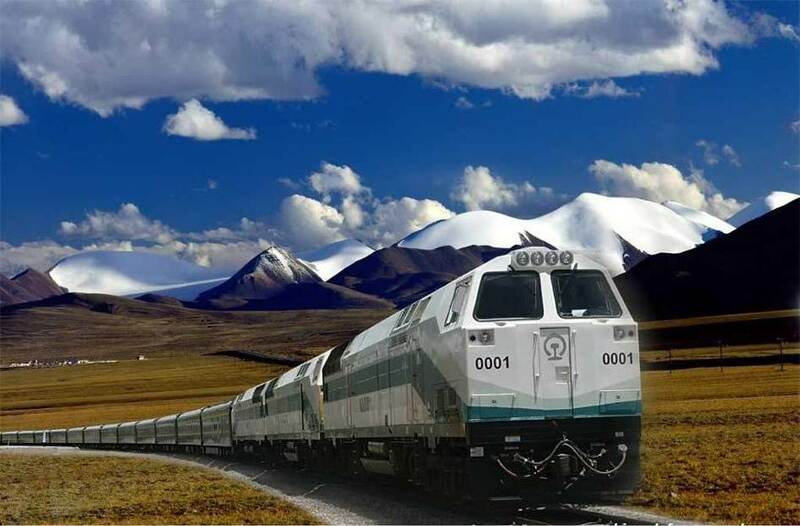 Whereas it currently takes three days to drive from Chengdu to Lhasa, the new railway line will reduce this travel time by 13 hours, the report said. The existing Qinghai-Tibet railway, which opened in 2006, takes 21 hours from Qinghai to Lhasa.